Paintings are available to buy online in our shop or by post via cheque. Online payments are taken by using PayPal but you do not need a PayPal account yourself to do so. Once you have decided on your design by either choosing one of my existing designs or by creating your own theme. Please use our shop to place your order. If you have any special requests please feel free to contact me to discuss further. 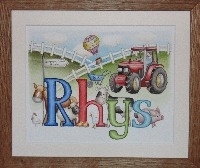 To make your paintings an extra special gift I can add personnel details or a message at the bottom of the picture i.e. 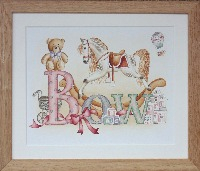 'Christened 4th May 2011' or ' On your 1st Birthday Lots of Love Grandma and Grandad'.